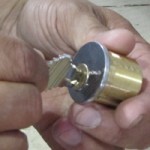 FC Locksmith can assist you with any locksmith need you may encounter. Need a new key cut? Need a lock repaired? Find yourself locked out? We can help with all of these and much, much more. Our locksmith service is separated into three categories: residential, commercial, and automotive. Residential locksmith – Wherever you live in Stouffville, FC Locksmith can provide you with a fast, professional, and reliable service that is inexpensive and hassle-free. Our mobile locksmiths can be at your property in a matter of minutes, ready to tackle whatever problem you face. 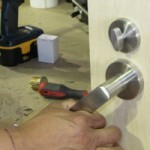 Each is an expert at fitting and repairing locks and doors, as well as repairing, adjusting and cutting keys. If you need security devices fitted no problem. Commercial locksmith – Whatever your business, FC Locksmith is able to assist you with any locksmith needs that may arise. Like our residential service, our business service is professional and affordable. So, if you need help bolstering your security levels or lose a key somewhere along the way, we’re the people you need to call. Any of the services we offer to Stouffville residents are also available to business customers. Automotive locksmith – If you find yourself locked out of your vehicle, we can help you with that too. Lockout assistance is just one of the components of our auto locksmith service, which also includes key extraction, duplication, and repair. Each and every one of our services is available as part of our 24-Hour locksmith service, which is designed to give Stouffville residents and businesses a first-class service when they require it.